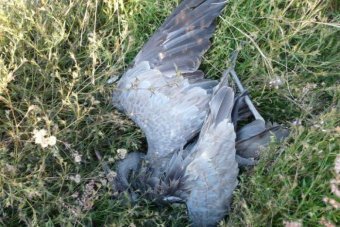 A far north Queensland farmer has been fined $18,000 over the poisoning deaths of 52 protected brolgas on a southern Tablelands property. The birds died from eating corn laced with organophosphate pesticide at Mandalee station at Innot Hot Springs in 2011. Cairns magistrate Suzette Coates found 72-year-old Richard Thiele, the director of the company that operates the station, Osprey Australia, responsible for the deaths. She rejected Thiele’s plea of not guilty for breaching the Nature Conservation Act, along with his defence that anyone could have baited the birds because the public had easy access to the 2,300-hectare property. Photos of the dead birds in various stages of decomposition were shown in court. A chemist gave evidence describing the toxicity of a pesticide in the stomach contents of the birds as being exceedingly high. This entry was posted in Fauna Impacts on January 1, 2017 by Anthony.